Kendrick Lamar in the music video for "All The Stars," one of the "Black Panther" songs nominated for multiple Grammys. "Black Panther’s" soundtrack is up for five Grammy nominations, including album of the year. 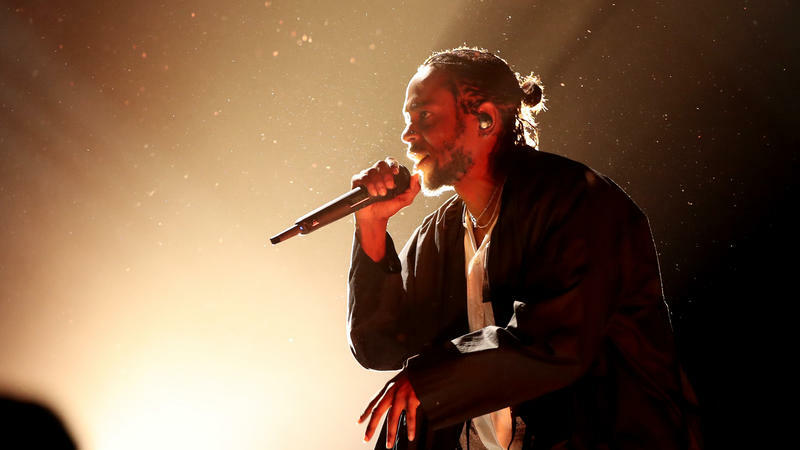 “All The Stars” by Kendrick Lamar and SZA is up for record of the year and song of the year, as well as two other awards. "Black Panther" is only the third movie soundtrack to receive an album of the year nomination in the past 25 years. The others were "Waiting to Exhale," which featured Whitney Houston, and "Oh Brother, Where Art Thou?" Fans of Wakanda helped make "Black Panther" one of the biggest hits in box office history, bringing in more than $1.3 billion worldwide. We remember D.W. Griffith's Birth Of A Nation today for the lasting impact of its racist propaganda. Although it sparked a wave of national protests led by the NAACP at the time, the film's monstrous portrayal of black America persisted, shaping the specter of race relations for the remainder of the 20th century.